Even though the US has made it clear that it stands against the Maduro government, there is no American embassy in Caracas any more. The Venezuelans wrote on the walls of the embassy, “How can the country of Gandhi support Chavez’s dictatorship”. 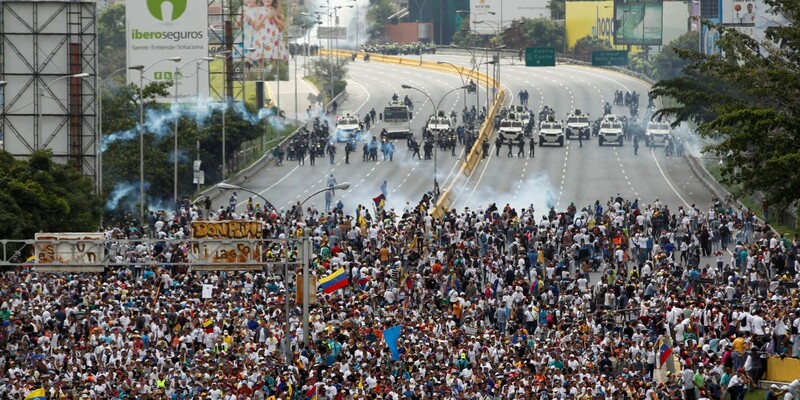 But when I told the demonstrators that the technicians were not sent by the Indian government and that they were recruited by PDVSA directly through their own channels, the crowd dispersed peacefully. The coup succeeded because the opposition and Big Brother were able to persuade some generals to change sides. Before that, PDVSA executives went on a strike, stopping the production and export of oil and prepared the ground for the coup. The generals who ditched Chavez were promised a share in power, amnesty to collaborators and an orderly transition. But as soon as Pedro Carmona, the US-backed businessman took over as interim president, he abolished the constitution, dissolved the legitimately elected assembly and unleashed persecution of Chavistas. Carmona went back on the promise of sharing power with the military. This made the generals angry and they were afraid of mistreatment by the new regime. So, the generals brought Chavez back in 48 hours and detained Carmona. It was all over in two days. Initially, Chavez was repentant, introspective and even forgiving. But the opposition, having failed to unseat Chavez democratically or otherwise, went back to their Northern Patron and continued their conspiracies. By then, Chavez wanted to teach a lesson to the oligarchic political and business leaders as well as the PDVSA executives and middle class which supported them. He sacked 15,000 employees of PDVSA and filled the company with Chavistas who were incompetent and corrupt. He started to systematically and ruthlessly destroy business, industry, economy and the society. When he died in Havana, the Cubans advised him to nominate Nicolas Maduro as his successor, even though Maduro does not quite have grassroot support, charisma and leadership quality. The Cubans preferred the manageable and incompetent Maduro over the clever Diosdado Cabello, the strongest leader after Chavez even now. The only point of interest for Indians is that Maduro is a Sai Baba follower. He has been to Puttaparthi a few times. Maduro is not running the country like Chavez, Saddam Hussain, Muammar Al Gathafi or Manuel Noriega. He is just a figure head. The country is run by a collective of Chavistas and military people. Most of them are corrupt. They realise that they would be punished if the opposition comes to power. They remember the 2002 experience. The only way to get them out of power is to offer general amnesty to all of them (several thousands), in the same way as Augusto Pinochetand the military dictatorship in Brazil, Argentina and Uruguay got away with atrocious crimes against their own people. The crimes of Maduro regime are much smaller in comparison to what the Chilean, Argentine and Brazilian dictators did. If the US invades, the armed Chavistas and many from the military will put up a fierce fight and cause bloodshed. Even if Maduro is kidnapped from his palace, as was done in the case of Noriega, the others will fight. That’s why the Iraq, Libya and Panama model of regime change will not work in Venezuela. Yesterday, US Vice President Mike Pence spoke at the UN Security Council seeking UN recognition of Juan Guaidó and derecognition of Maduro. This is a clear indication that the US has not been able to do the regime change unilaterally or with its ‘coalition of the willing’. The US goes to UN only when it realises its limitation. The attempt of the US to get UN recognition of Guaido will fail because China and Russia will veto it at UNSC in favour of Venezuela. And in the UN general Assembly, not many countries will support Guaido. Raul Castro also addressed the same UNSC meeting, asking the US to keep its hands off Venezuela. It is a powerful message from a country which has survived US invasion, many CIA plots and odious sanctions. In fact it is the Cubans who have been advising Maduro on how to survive, based on their own remarkable and courageous experience. Despite all the bravado of US President Donald Trump, Marco Rubio and Elliot Abrams who threatened even military invasion, Guaido remains as the paper president while Maduro has checkmated him and his external supporters. China made a mockery of Guaido’s recognition by the Inter-American Development Bank by refusing a visa for Guaido’s nominee to IADB. Organization of American States has given recognition because of secretary general Luis Almagro, the Uruguayan who sold his soul to Uncle Sam, who has been taking blatantly partisan approach to Maduro regime. The Uruguayan government has disowned him, although he was a respected foreign minister during the government of president José Mujica. Vladimir Putin’s despatch of military advisors to Venezuela has emboldened the Maduro regime and surprised the US – further complicating the American calculations. But the US can strangle the Venezuelan economy and worsen the misery for the government and people by its ongoing and future sanctions on oil production and exports as well as other clandestine sabotage. The Maduro regime has no clues as to how to stop the hyper inflation (running in 5-6 digits), increase oil production and exports, stabilise the exchange rate and reset the economy. Those around Maduro are stealing government money left and right, since they do not know how long the regime would last. The only solution is to bring Maduro and the opposition to the negotiating table and put pressure on them to reach an agreement for holding an internationally supervised election. Mexico and Uruguay advocate this course. But Maduro will come to the table only after iron-clad amnesty to all his military supporters and the Chavistas backing him. 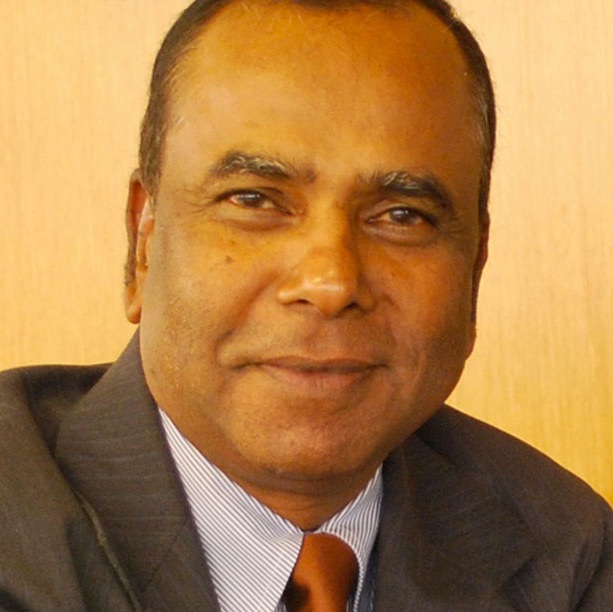 R. Viswanathan is a Latin America expert and former ambassador to Latin American countries.